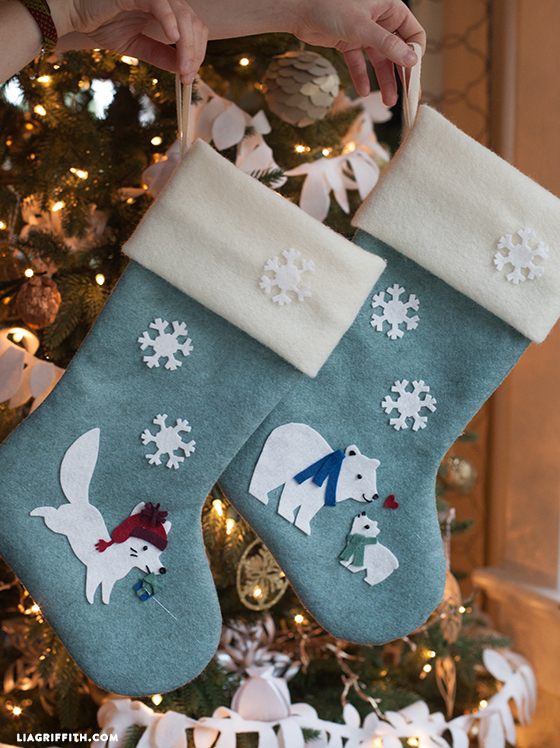 Can the small pieces be fused to the stocking with fusible interfacing? I don’t understand the cuff. You have a pattern and yet you say to cut a 13 x 18 piece. The piece on the last page is still part of the stocking (the pattern was split up into 3 pages). I see how the note about the cuff can be misleading though! Not the best placement, sorry about that. Hello! 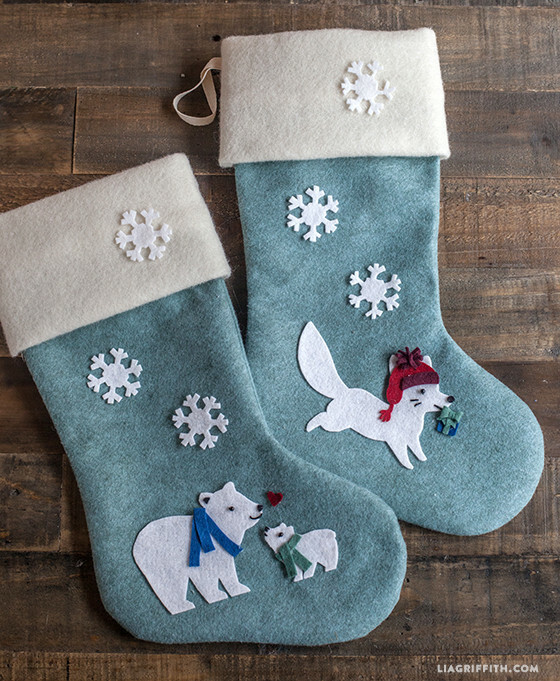 Is the stocking entirely hand sewn? Or is a sewing machine required? Hi Erin! I used a sewing machine, but did hear from a reader once that she used fabric glue and it worked just fine. I wouldn’t expect the stocking to hold up as well but it’s certainly an option for non-sewers! I just want to thank you for all of the wonderful crafts you make and then share them with others. I love your site and again just want to thank you. God Bless. О ! Это всегда так красиво и загадочно! Что там? Спасибо,Лия! This is stunningly beautiful. Thanks! Thank you – these are beautiful!